Kareena Kapoor dropped by Gauri Khan Designs - the star wife's boutique store for interior designing in Mumbai. 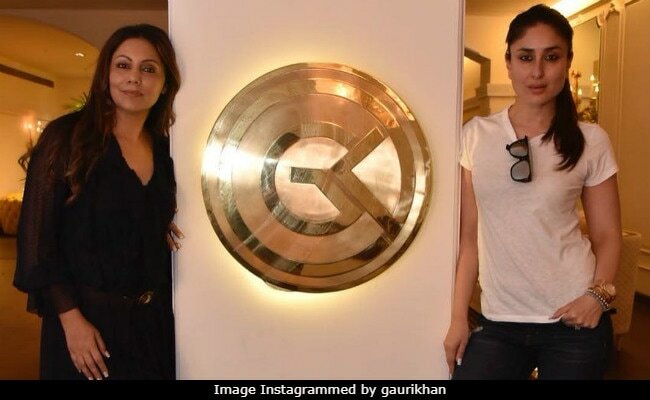 Gauri, whose store is often frequented by Bollywood A-listers, appeared to be particularly thrilled to have had Kareena walk into her studio. Gauri Instagrammed photos from the meet and followed them up with interesting captions. In one of the captions, Gauri quipped about Kareena's 'look' for the day, referring to the Kareena's reputation as a fitness freak and her trend-setting wardrobe. "The sensational Kareena Kapoor Khan visits us ... The size zero look, the gym look and now the #GKD look," wrote Gauri, who sported a ruffled blue dress. Kareena was smartly put together in the classic combination of white and denims - she accessorised with a pair of tan boots and statement jewellery to go with her watch. The sensational #KareenaKapoorKhan visits us ... The size zero look, the gym look and now the #GKD look. In a separate post, Gauri also thanked the Bajrangi Bhaijaan actress for dropping by: "Thanks for visiting Gauri Khan Designs, Kareena - it was a pleasure having you over!" The gorgeous #KareenaKapoorKhan stands in between @jaipurrugs ' hand-knotted wool rugs, perfectly fusing beauty, tradition & modernity. Thanks for visiting #GauriKhanDesigns , Kareena - it was a pleasure having you over! Gauri Khan Designs is regularly visited by Bollywood stars and also doubles up for shoot locations. In February, Sonam Kapoor had a photoshoot in the store for a bridal magazine while in January, Abhishek and Aishwarya Rai Bachchan were spotted on the couch of Gauri Khan's store. "No introductions for this special guest... one and only... at Gauri Khan Designs," she had written for Aishwarya. Other celebs who also walked through the doors of the store are Aamir Khan, Sidharth Malhotra, Sonakshi Sinha, Ranbir Kapoor and Sanjay Leela Bhansali. 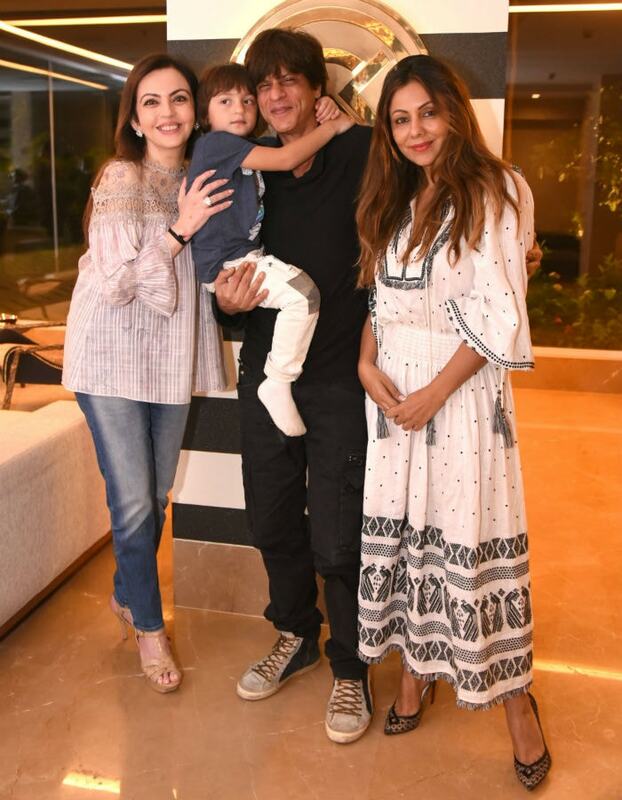 Last year, Shah Rukh Khan and AbRam were especially present to welcome Nita Ambani to the store. Gauri Khan has designed Ranbir Kapoor's new apartment and redecorated Karan Johar's roof top other than several other celeb homes. She has also designed a restaurant in Khar - Arth. Kareena Kapoor will next be seen in Veere Di Wedding, which will be her first film after Taimur was born.